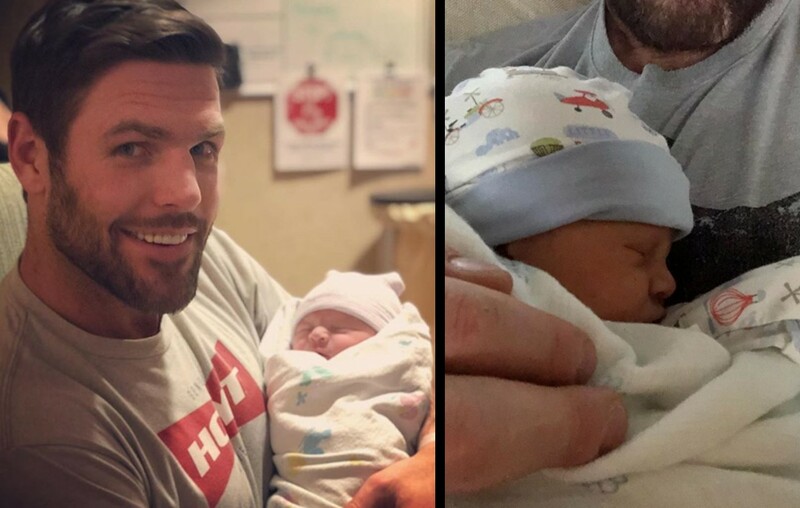 Carrie Underwood's husband, Mike Fisher, shared a sweet message shortly after their second son Jacob was born. More here! On January 21st, Carrie Underwood and husband, Mike Fisher met the newest addition to their family. A few days later Mike took an exceptionally honest and heart-melting message to Instagram expressing his gratitude for the birth of his second baby boy, Jacob Bryan Fisher. Carrie’s third photo is of their oldest son, Isaiah (born in 2015) holding his baby brother. Priceless. Just a few hours later Fisher shared the picture of him cradling his boy with the sweet caption. “Jacob Bryan Fisher! You are a gift from our Lord! The last few years has has had its challenges and it makes this moment even more sweet! We didn’t know if Izzy would ever have another sibling but we learned through it all that God is in control and his timing is perfect! He is good all the time even in the difficult times that are hard to understand. #grateful #miraclebaby” the dad of (now) two writes. His #miraclebaby signifies the three miscarriages the couple had prior to getting pregnant with Jacob. Carrie’s The Cry Pretty Tour 360 with special guests Maddie & Tae and Runaway June kicks off in May! Share this sweet update with other fans!